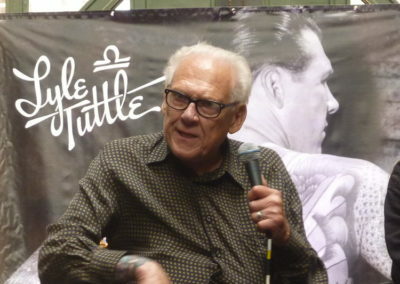 Lyle Tuttle 1931-2019 | Rocker For Life! Lyle Tuttle passed away on March 25th. The heavily tattooed man who wore red socks was friends to everyone. 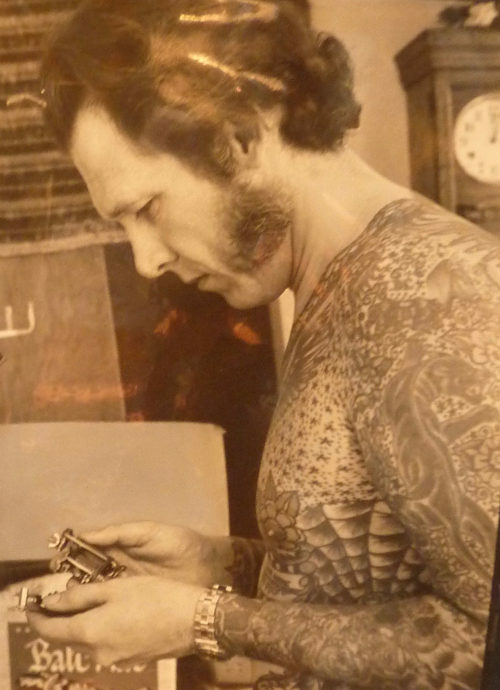 Lyle was one of the most well known people associated with tattooing. Many years ago, when I learned to tattoo, I apprenticed under Spider Webb. Spider insisted that I read every issue of Tattoo Historian to become facile with the history of tattooing, and for that I am grateful. Spider and Lyle were intermittently in touch, and I made an appointment to get tattooed by Lyle when I hit the west coast for a National Tattoo Association convention being held in Anaheim. I don’t know what I expected from meeting Lyle, especially being that I worked alongside Spider day after day – he is an irreverent and hilarious and very talented human being. I guess I had some idea that because Lyle was older, that he would ACT like he was older. 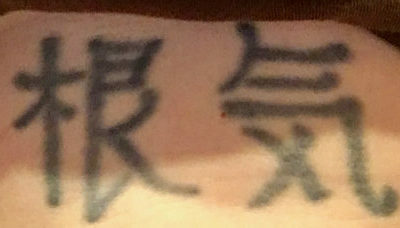 He tattooed kanji on my ribs, and the rest of his staff was already in Anaheim, pre convention. He was conscientious and funny, and there was nothing old or timid about him! 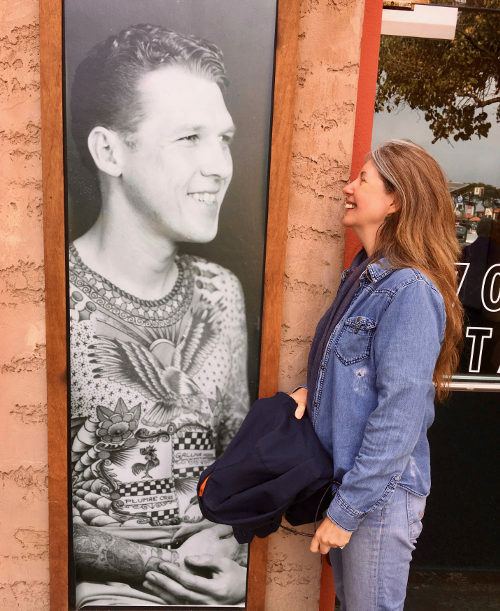 He came off as very young and his spirit was youthful, a lot of our conversations were about the tattoo masters, vintage gear, and the form and functionality of the traditional tattoo. Lyle’s demeanor was very inquisitive, he seemed to be all about discovery, and asked a lot of questions about me, Spider and my progress in the business. 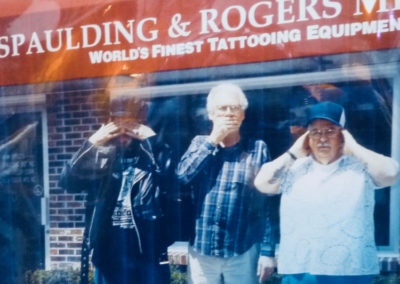 When my ride failed to show up after the tattoo was completed, Lyle said he was going to close the shop so we had lunch at his apartment upstairs. I had the opportunity to hang out with this living legend for hours until my ride was located. 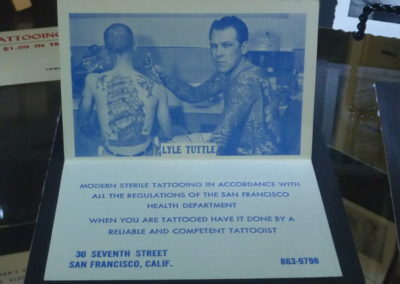 Over the years, Lyle was my roommate a couple of times at tattoo conventions. He knew everyone, and I hardly saw him those weekends even though we shared a room. 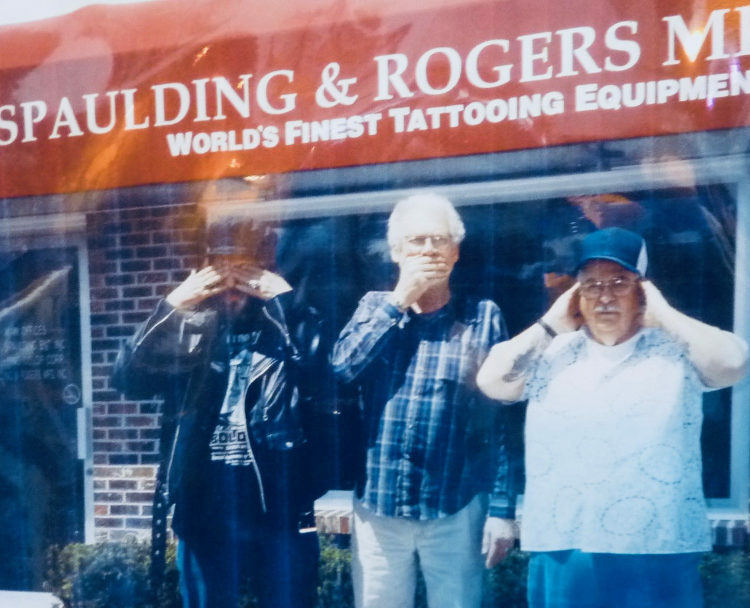 A favorite memory was getting woken up by him at 4 am, he was psyched to the gills about a new (or old) tattoo machine that he had just gotten from someone. Lyle was talking nonstop about the machine as I tried to wake up and comprehend at the same time. He lived and breathed (especially) the technical end of tattooing and also pushed tattooing into what some might call the mainstream. 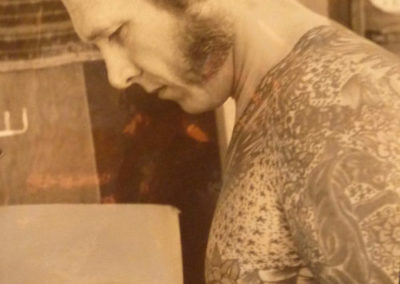 He had tattooed Janis Joplin and other notable people that the news got hold of. His full bodysuit was often photographed, and also made into a line of clothing – I think just the shirts/chest/back reproduction, and his signature became a trademark. All of that may say “branding” who reads all these things now, but all of these elements were things that Lyle embodied over the years. 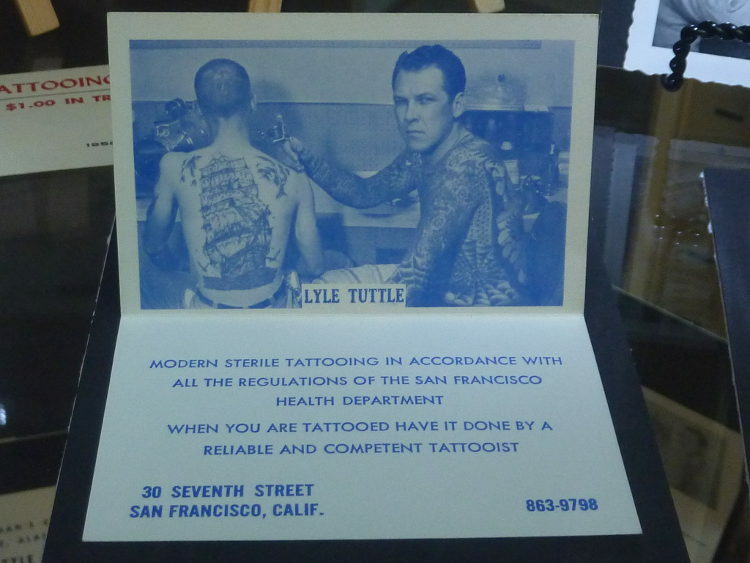 Lyle Tuttle was THE tattoo machine historian. 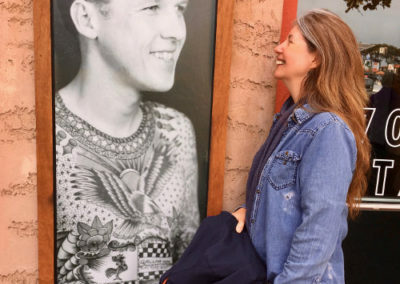 The man appreciated all things in tattooing, including a good laugh and the people that wore them. Lyle met hundreds, probably tens of thousands of people because of who he was and the business he was in. 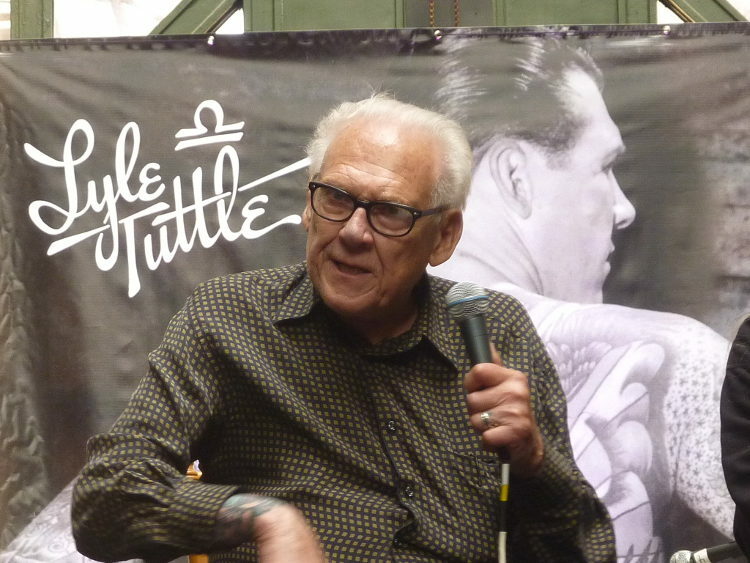 Tattooing is a social business and Lyle Tuttle is “living” proof of that. Yes, he has passed, and there are many of us adorned by his work and affected profoundly by his friendship and love of the craft of the tattoo. That is his legacy, and for that he will always be remembered, and I say, that he still lives for. It will be a few more generations before his artwork dies off and I think of that during these sad days, because he made his mark; thank goodness those marks are indelible!